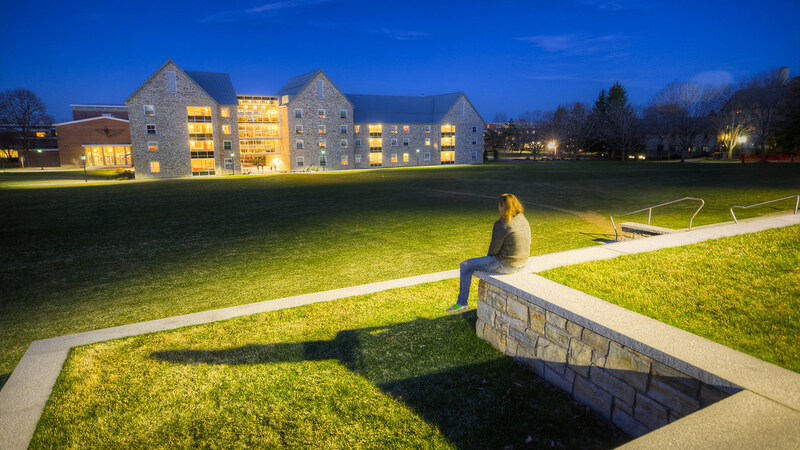 Continuing this week of “end of the school year,” calming-of-the-campus photographs is this landscape over the quad: An ocean of light and shadow (pardon the cliché) divides the new Kirk Douglass Hall (a.k.a. “the new dorm”) from the rememberer. What an eerie light. You definitely caught someone in an existential moment. Don’t jump! Oh, wait, go ahead and jump the three inches.